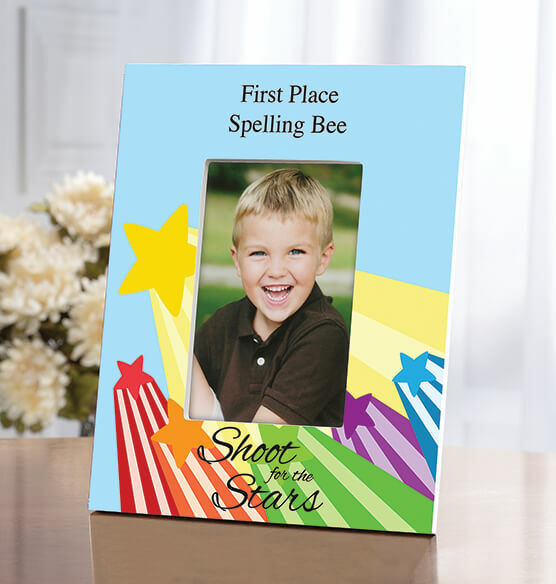 Celebrate special achievements with this unique personalized Shoot For The Stars frame. Appropriate of any child and will always remind them of your love and appreciation. The back has both an easel stand and sawtooth hangers so they can display it on a table or wall. This custom frame makes a perfect gift idea for an important little person in your life achieving big things.